Healthy World Sedona is choosing to make a difference this April by encouraging us all to take a positive step each and every day to improve our health, that of the planet and to combat the effects of climate change on our world. 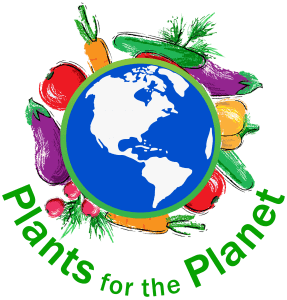 Take the pledge and use the handy Plant Pledge Calculator on the Healthy World Sedona site to find out what type of an impact YOU can make! As of writing this post, the goal of 6000 plant-based days is at 32.7%. Together we can do much better and meet, if not totally blow that goal out of the water! Visit Healthy World Sedona and make your pledge today! Help control the earth’s temperature by raising this one! With one week left in March, we’re at 32.7% of our goal. Follow along as we update daily how close we are to reaching—and hopefully exceeding—6000 plant-based days pledged. If we can reach our goal, we’ll have saved enough water to fill ten Olympic-sized swimming pools, made 135 tons of grain available for human consumption instead of cattle feed, saved over four acres of precious forest, kept more greenhouse gasses out of the atmosphere than driving a typical car from Sedona to Washington DC 48 times, and spared the lives of 6000 animals. Be sure to follow me and Healthy World Sedona on Facebook to stay in the loop. Also, be sure to come back next week for another blog! « Who Wants to Make Some Cake? A Limoncello Coconut Cake?